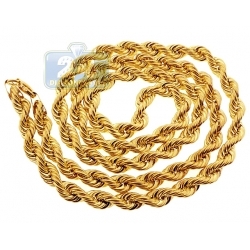 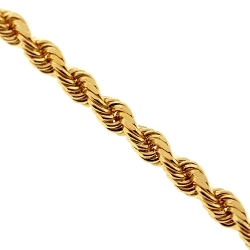 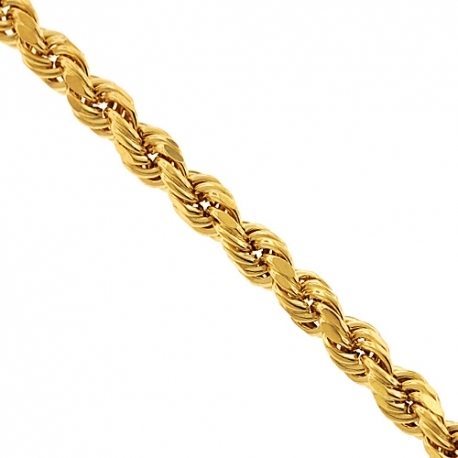 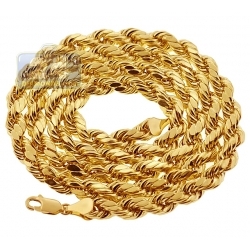 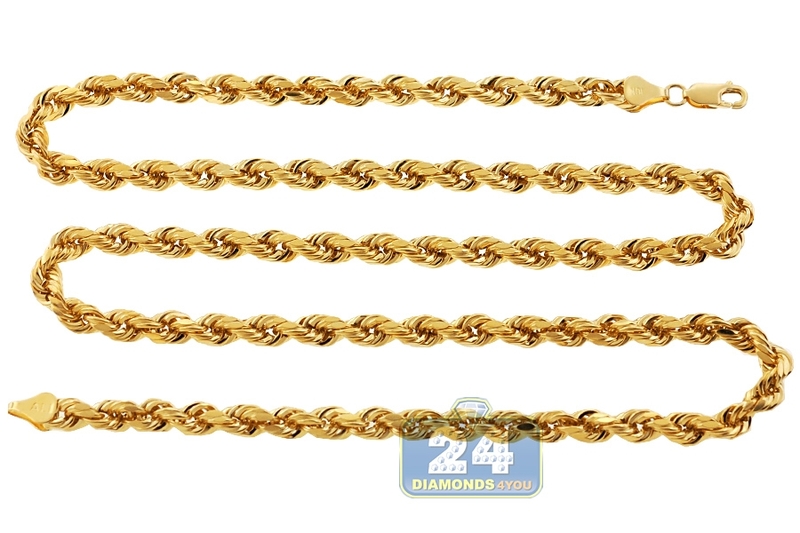 10K Yellow Gold Diamond Cut Hollow Rope Chain 5.5 mm 26 28 30"
Our classic hollow rope chain is a perfect match for the modern wardrobe! It's expertly created from Italian 10k yellow gold, and features diamond-cut finish that adds extra shimmering. 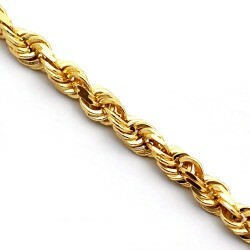 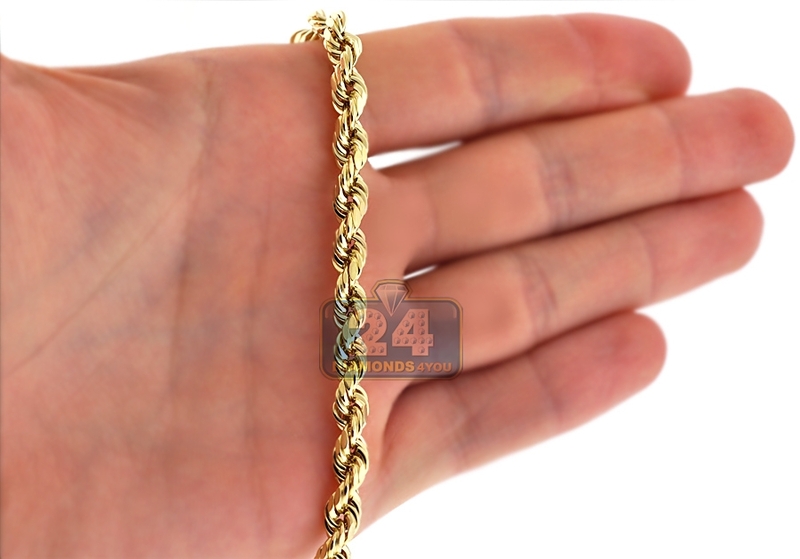 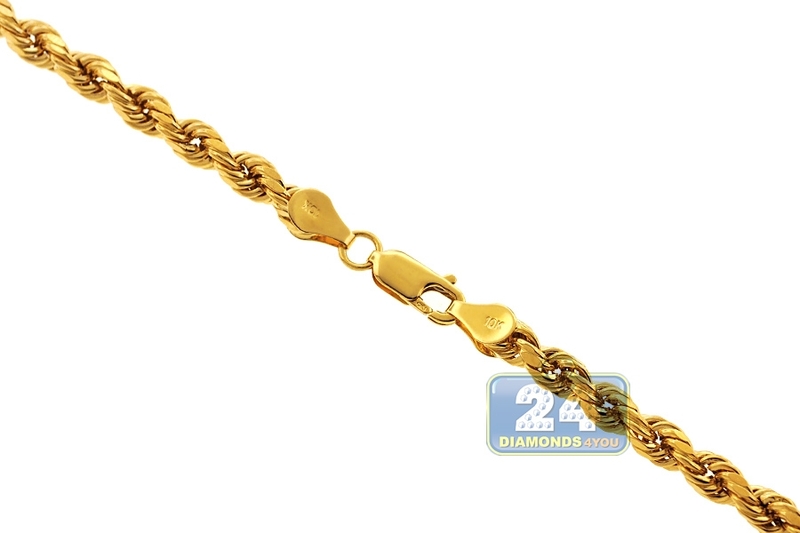 The piece of jewelry measures 5.5 mm in thickness, and available in 26, 28 or 30 inches in length. 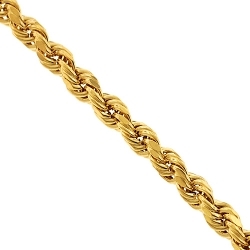 It's also closed with the safest lobster claw clasp. 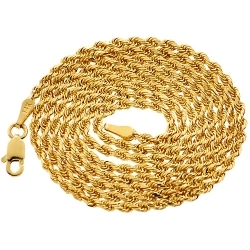 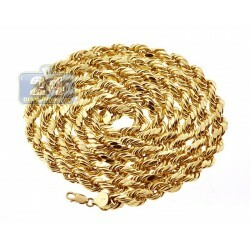 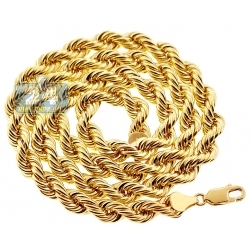 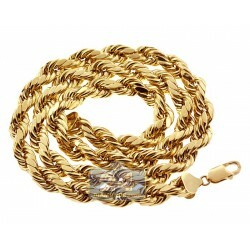 Get chic sophistication for every day with this men's gold necklace!